The second round concludes on Friday with new Grand Slam of Darts champion Gerwyn Price and 2018 European Tour event winners Ian White and Jonny Clayton taking to the stage. Canadian Jim Long had a debut to remember, beating Mickey Mansell 3-1 to secure a showdown with Benito van De Pas, but 'Big Ben' who is making his fifth straight Alexandra Palace appearance will be firm favourite to reach round three and a date with Spain's Toni Alcinas. Alcinas caused one of the shocks of the last round after knocking out world No 3 Peter Wright. Big John Henderson enters the Ally Pally arena where he will take on Germany's Gabriel Clemens who beat Aden Kirk in straight sets to reach the second round. 'The Highlander' enjoyed his best run in north London a year ago by reaching the last 16 only months after his run to the World Grand Prix semi-finals. Richard North takes on world No 22 Steve West after snatching victory from the jaws of defeat against Robert Marijanovic in the previous round. The 28-year-old came back from two sets behind and 2-1 down in the third to win 3-2, hitting 10 maximums in the process. West will prove an altogether different kettle of fish having reached the UK Open and European Championship quarter-finals. Noel Malicdem came from 2-1 down to defeat Jeffrey de Graaf 3-2 and set up a meeting with big-scoring Australian Kyle Anderson. 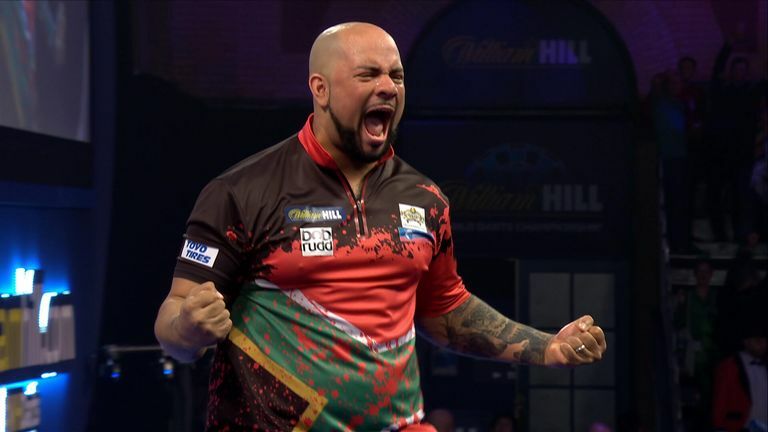 The Filipino will have his work cut out against 'The Original' who famously landed a nine-darter at the 2014 World Championship. Devon Petersen won a dramatic first-round match-up with Wayne Jones in which both players passed up several chances to win before Petersen advanced. The adopted Yorkshireman will bring his 'Waka Waka' walk-on music to another sold-out crowd where he will be aiming to dance past Ian 'Diamond' White. White is a man showing consistent form having won the Dutch Championship and two Players Championship titles this year. Petersen wins with 27 dart leg! Devon Petersen is taken to the final leg of the final set to finally defeat Wayne Jones after a 27 dart leg in the first round of the WDC. Expect fireworks between these two young guns when they collide in the second match on Friday night. Keegan Brown did not lose a set during his victory against Karel Sedlacek and the 2014 World Youth champion will fancy his chances of causing an upset against his rapid-firing Dutch opponent. Klaasen is a former Lakeside champion and he reached the semi-finals here three years ago losing to Gary Anderson. Keegan Brown admitted he has not played well in the last two years but says he is now back after beating Karel Sedlacek in the first round of the World Championship. 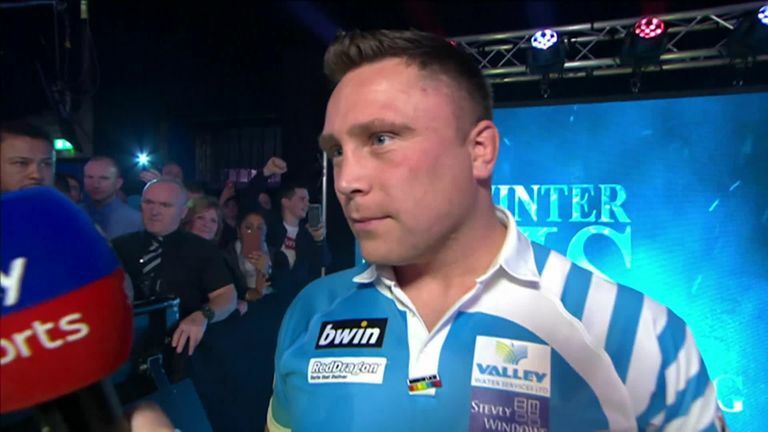 Welshman Gerwyn Price heads to Ally Pally very much a man in form having captured the Grand Slam of Darts title in Wolverhampton just last month. Nathan Aspinall comfortably beat fellow debutant Geert Nentjes 3-0 to set up this clash against sixth-ranked Price. 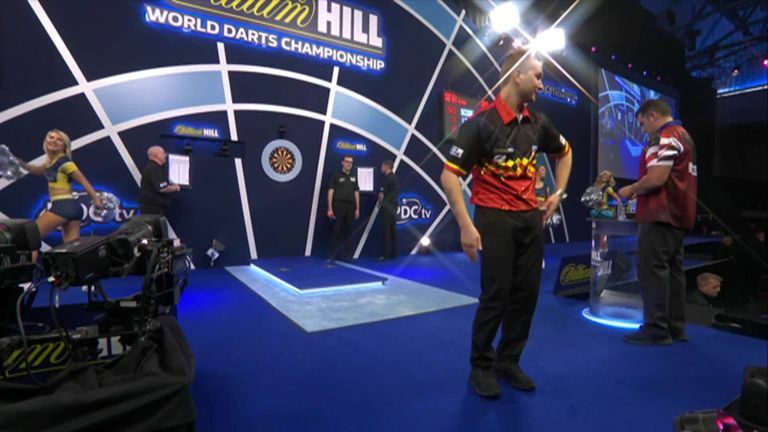 Another Welshman, Jonny Clayton is last to enter the stage along with dancing Belgian Dimitri van den Bergh. Clayton, who has broken into the top 16, won his second ranking title at the Austrian Open in April is not expected to have an easy ride against Van Den Bergh, the world No 35, who ran out a 3-0 winner over American Chuck Puleo, which saw him hit a 144 check-out during the final set. The winner is set to face Luke Humphries in round three after he crushed 2014 BDO champion Stephen Bunting.